©Barry Sandland/TIMB – A quick stop with a slice of cheese and some bread. Photographer’s notes: This is not the first time I have run across one of the Dioxyide de Gambettes bulk messengers. They specialise in larger objects – a far cry from the bag over a shoulder deliveries. See Bulk Loads by Bikes Only link here…. 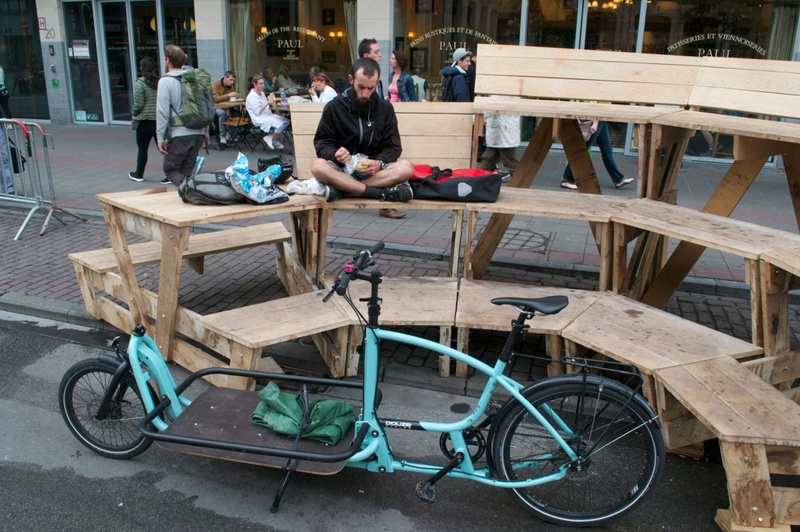 This entry was posted in bike messenger and tagged 2015, August, Belgium, Brussels, Douze bikes. Bookmark the permalink.